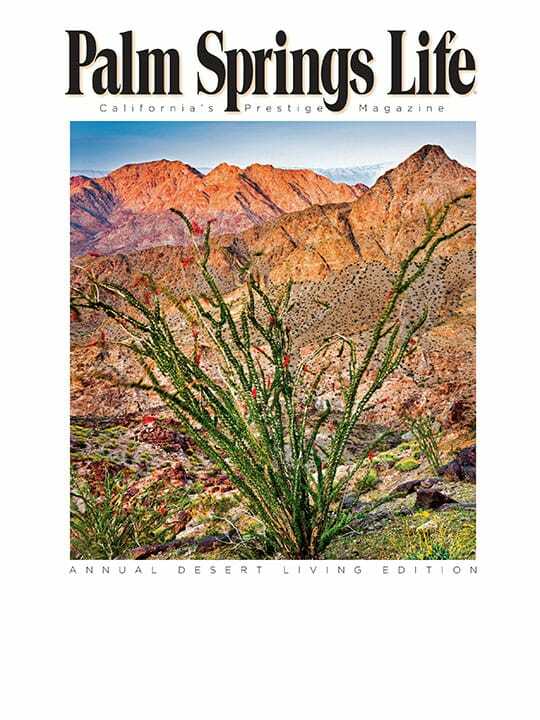 On The Cover – Bear Creek Oasis Trail (with Ocotillo), March 25, 2010. Photographer Tom Brewster explored this trail on the suggestion of Santa Rosa & San Jacinto Mountains National Monument Manager Jim Foote. He was aiming for a shot of the pyramid-shaped peak in La Quinta cove when he came upon this ocotillo. By Greg Archer. Photography by Mark Davidson. 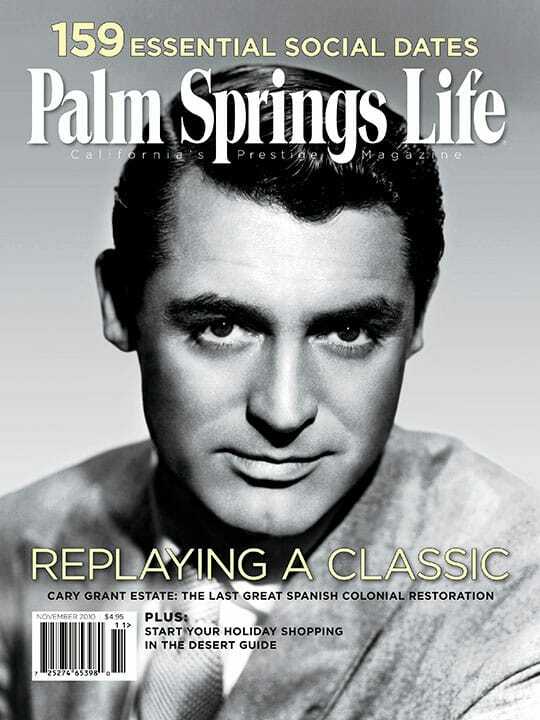 Historic images courtesy Palm Springs Historical Society. 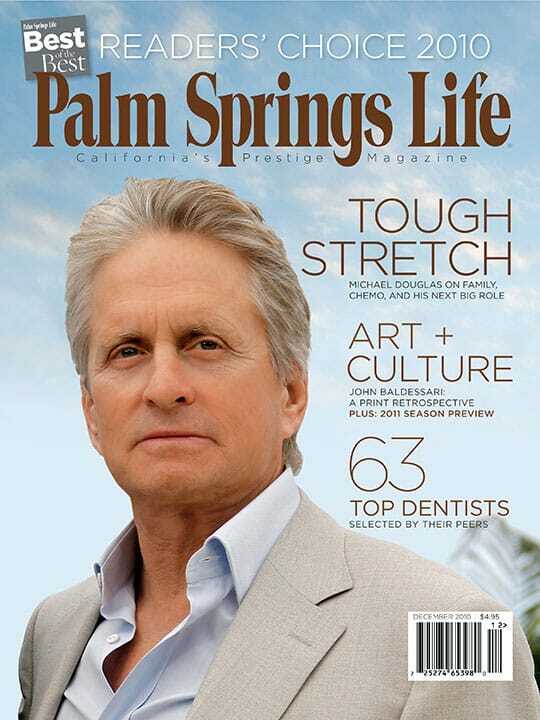 Stars and “starchitects” made Palm Springs the grandest of A-list party pads. Follow us for an eye-popping tour of some iconic celebrity houses. Cradling the desert valley, the Santa Rosa and San Jacinto mountains offer a rich history, a bright future, and awesome experiences for those who hike their trails. Expect a shakeup in the status quo.